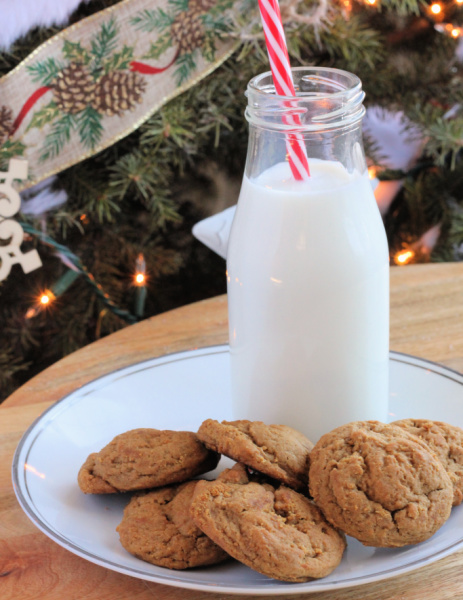 Granny’s Soft Ginger Cookies + Free Printable Gift Tags! 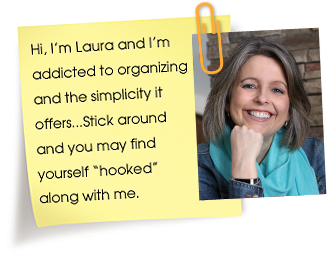 Hi friends, the week before Christmas is a tricky one for organizing bloggers. At least it is for me because I’m not doing a whole lot of organizing at this point so I don’t expect you are either. Organizing for me right now involves shoving everything into my office and shutting the door real quick. There is just so many other things to get done am I right?! 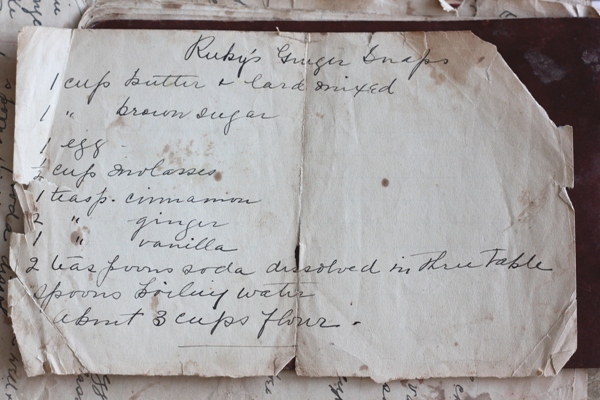 So today I thought would be a good day to share my Granny’s (well actually Great Granny’s) soft ginger cookies recipe. 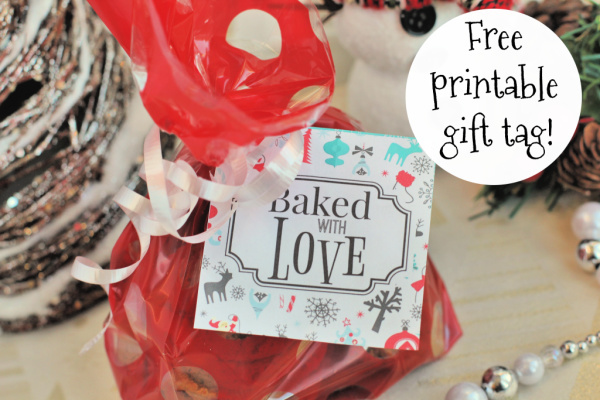 Cookies always make a great quick gift and I’ve even got a free printable gift tag for you to use as well! PS: I am soooo not a food blogger and did the best I could with the photos. Taking pictures of food is hard y’all! I found my Granny’s recipe in some old family cookbooks that my mom passed down to me for my birthday last year. 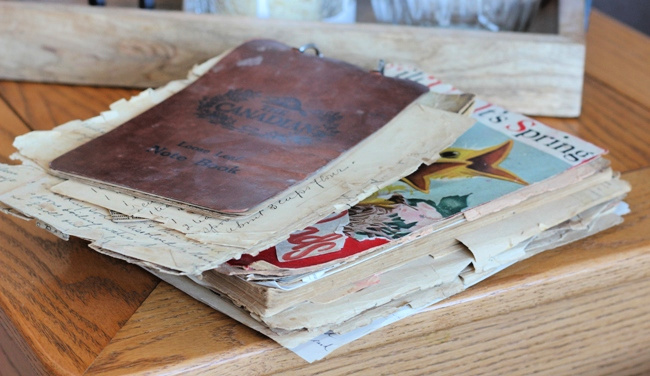 There are old newspaper clippings inside dating back to 1916. One recipe for soft ginger cookies showed up multiple times so I wanted to try and recreate them. As you can see I only had a list of ingredients to go by. I love knowing that this is my Great Granny’s handwriting. I’d like to have a few recipes framed. 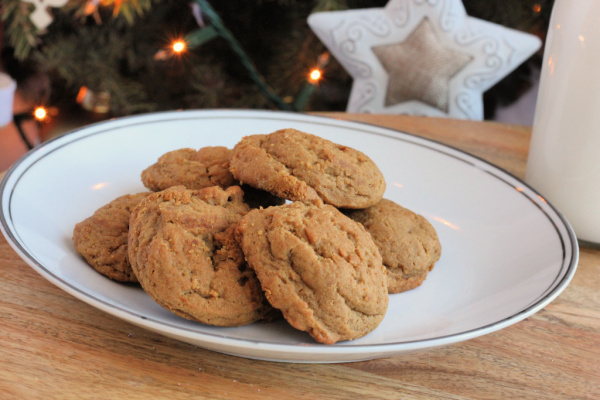 They were originally called ginger snaps but these were definitely more soft in texture. In a bowl or stand mixer combine butter, lard and brown sugar. Blend well. Add the egg, molasses and vanilla and then blend again until well mixed. Dissolve the baking soda with boiling water and stir into wet mixture. In another small bowl combine the flour, salt, cinnamon and ginger. Add it slowly to the wet mixture while beating until smooth. Roll into balls and put on a cookie sheet. Cookies will be soft when they come out of the oven but will firm up while cooling. 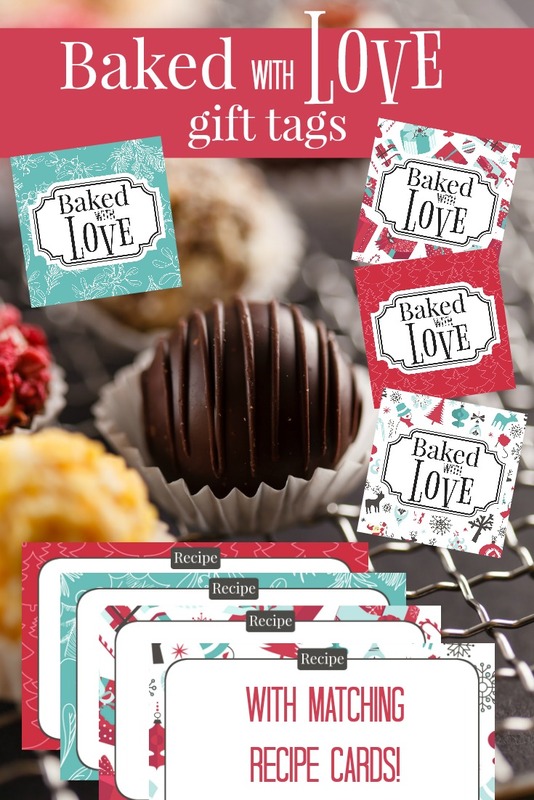 To help you with your gift giving, feel free to download my free printable “Baked with Love” gift tags to use to package your cookies up. They add a nice festive touch! Plus if you really want to kick it up a notch there are coordinating recipe cards for you to use as well. Please share on Pinterest. Thank you! 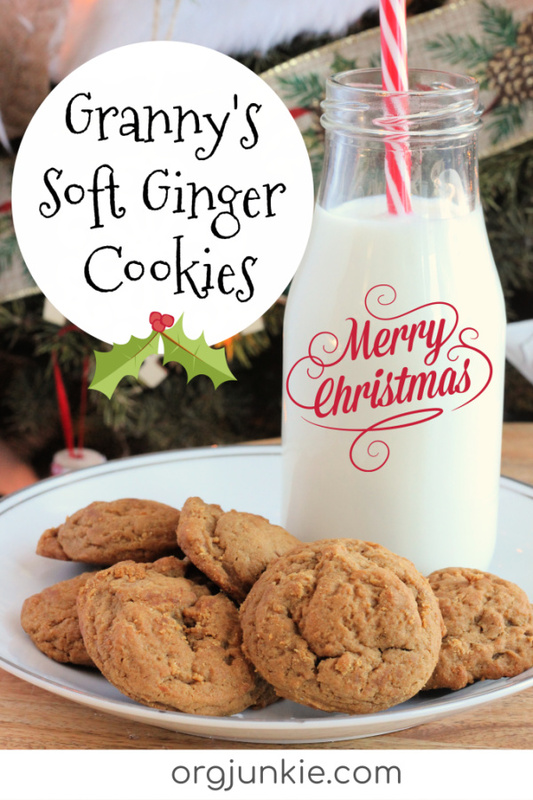 One Response to Granny’s Soft Ginger Cookies + Free Printable Gift Tags!